I purchased this indie polish on Etsy from Terrestrial Nails. 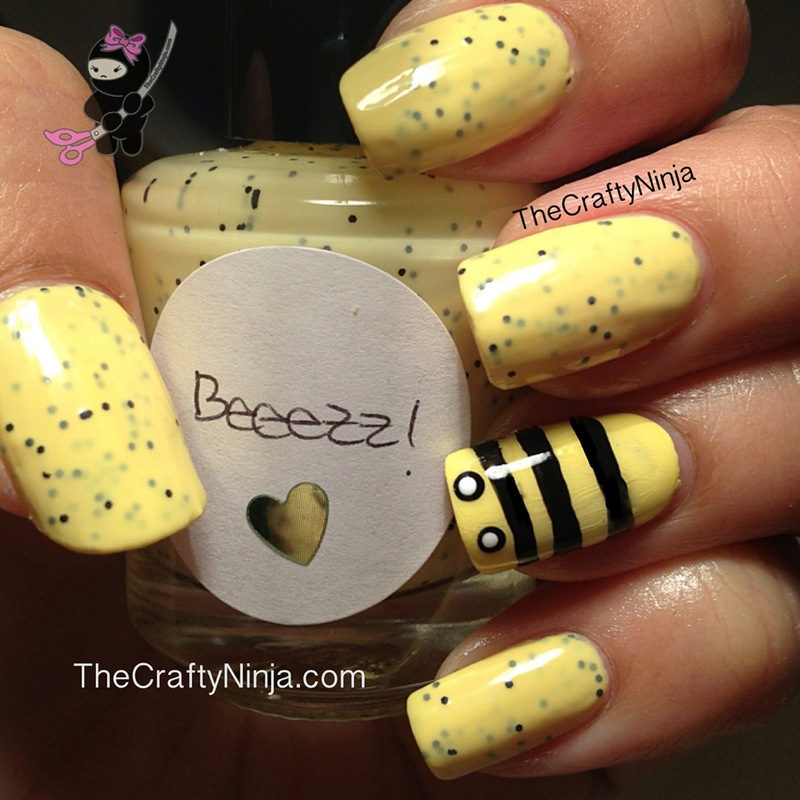 The polish name is Beeezz which it inspired me to create a bumble bee on my accent nail. This is a creamy yellow polish has tiny specks of black circular glitter. I had to apply four coats to get complete coverage. So pretty I’m in love! Check out my Nail Care Products and Tools HERE!